Prizes are an essential element of the delicate international literary ecosystem. For publishers, they provide the oxygen of free publicity. For authors, a prize means an unexpected cash windfall and a place among the constellations of little gold stars in the book world’s sky. For the rest of us, literary prizes are a spectator sport, like an Olympics to honor people who sit alone in a room for years at a time. Nothing compares to the Nobel Prize. Just ask Philip Roth: It’s the only prize he hasn’t won. And among annual prizes for new books in English, none of the U.S. prizes — the diluted National Book Award/Pulitzer/National Book Critics Circle trifecta, not to mention miscellaneous PEN honors — is as potent as the U.K.’s Man Booker Prize, now in its second year of being open to non-Commonwealth authors. For the past three years, I have been addicted to gambling on these prizes. Unlike most gambling addicts, I’m still in the black. In 2013, I put £100 on Alice Munro at 4-to-1 odds. Last year, Patrick Modiano’s victory took me completely by surprise. (But then even France’s own minister of culture had never read a word of Modiano’s books.) With the Booker Prize, I’ve so far only struck out. I backed Colm Tóibín and Jim Crace when it went to Eleanor Catton, and Joshua Ferris when it went to Richard Flanagan. Maybe this year will be different. I avoid spending money online whenever I can, so I prefer to place my bets with an actual bookmaker. I happened to be in London last week, so I went to the one I’ve been patronizing for the past three years, the Ladbrokes on Kingsway, by the Holborn tube station. It’s in a stately 19th-century building that fits right in with the nearby law courts and the campus of the London School of Economics, but it’s basically what Americans would recognize as an OTB. There are about a dozen men (and it’s always men) inside every time I’ve popped in, placing little bets on televised horse races and, less frequently, picking up modest winnings at the counter. It seems that very few people ever go to this Ladbrokes to bet on literature, so when I arrive, the bookies on duty are always a little disoriented. Although I bring printouts of the odds they’re offering online when I come to the window, they have to work within their own system, and they always pull up the Nobel Peace Prize odds before they figure out that literature is something else. On Saturday, two bookies helped me out: a woman with hair dyed maroon verging on purple, and a blond man who seemed to be more in tune with the intricacies of their computer system. “So what’s this prize for? Stories?” the blond bookie asked. “Yes, stories and novels and poems or plays,” I said. “Do they give it out on telly, like the MTV Awards?” he asked. “It’s not that fancy,” I said. There actually is a broadcast of the Man Booker Prize ceremony. I’m not sure which channel it’s on, but on “Booker Night,” it plays at each of the parties the publishers throw for their nominees. At the end of the night, everyone converges on the winner’s party. Last year, the merger of Penguin and Random House meant there were only two parties: one for their five nominees, and another thrown by the independent Serpeant’s Tail, publisher of Karen Jay Fowler. After Flanagan won, before the winners and losers showed up, I skipped out to a Frieze Festival party. I imagine the Nobel announcements and awards ceremonies are broadcast, at least in Sweden. This year, I allotted a budget of £100 for the Nobel and Booker combined. My rule was that, with one exception, any winner among the bets I placed had to win me back at least my entire stake. I tend to make three categories of bet: (1) a likely winner; (2) a writer I really admire who’s also a patriotic favorite; (3) a writer I’ve reviewed negatively. There’s often overlap between categories 1 and 3, and it really paid off in the case of Munro. For the Nobel, I always put some money on Ismail Kadare, because I love his books and because my paternal grandmother was Albanian, and no Albanian author has ever won the Nobel for Literature. This year, at 16-to-1, he looked particularly enticing, so I put £50 on him. The Ladbrokes odds on the Nobel aren’t as helpful or predictive as they are in elections or sporting events. For the past few years, the Belorussian Svetlana Alexievich has been at the top of the favorites. She’s the author of Voices From Chernobyl, an excellent work of journalism translated into English in 2006 by Keith Gessen. It’s no knock on her work to say that Alexievich doesn’t seem a likely winner because the Nobel rarely rewards journalists (her books are oral histories), but it’s public knowledge that she was nominated for the prize by Ural Federal University, and patriotic Russian bettors seem to have run with this news disproportionately. The novelist Lyudmila Ulitskaya, an outspoken critic of Vladimir Putin, would seem a more likely Russophone winner, as most Russians who’ve won the prize have been dissidents. Philip Roth has 8-to-1 odds, but I’ve given up on him since he gave up writing books. He seems cursed by Stockholm. I put the rest of my Nobel money on Marilynne Robinson (£4 at 25-to-1) and Don DeLillo (£10 at 50-to-1). I love their books, and if they win, I’d like to be rewarded for my taste. Last year, I pursued that reasoning too far, putting small wagers on Thomas Pynchon, Cormac McCarthy, John Ashbery, and Joan Didion, all losers. I would love to see any of them win. If Ladbrokes gave odds on Renata Adler, Donald Antrim, or Frederick Seidel, I’d bet on all of them. Jonathan Franzen is strangely absent from their odds, perhaps indicating that he’s in for a Roth-like curse, but Karl Ove Knausgaard is there. Elena Ferrante hasn’t registered yet. 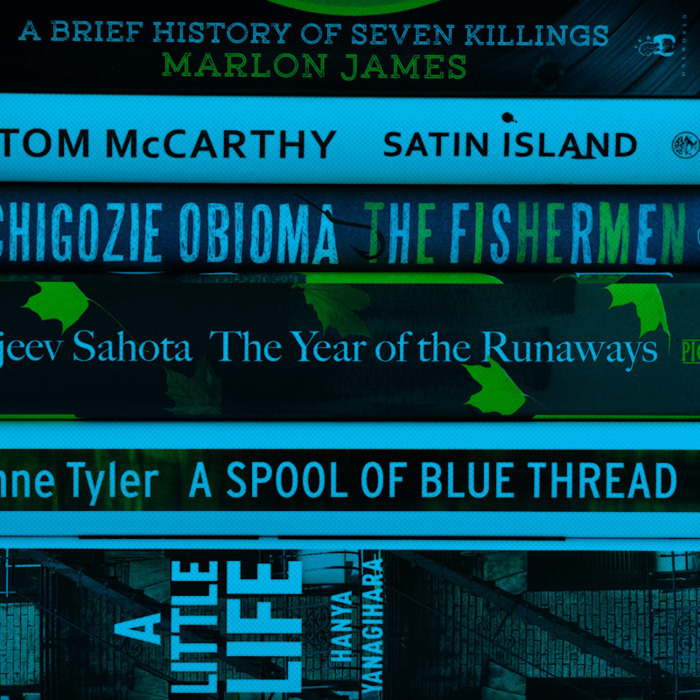 The Booker Prize is a simpler calculus with only six nominees. Hanya Yanagihara’s A Little Life is the favorite, and since I reviewed the book, I placed £1 on it — I don’t find it much fun to bet on 5-to-4 odds. Since I haven’t had a look at Sunjeev Sahota’s The Year of Runaways or Chigozie Obioma’s The Fishermen, I excluded them from consideration. Marlon James’s A Brief History of Seven Killings seemed to me both an excellent book and one about which the judges, a few of whom I’ve met, might reach a consensus. I put £25 on it at 4-to-1. I’ve never gotten why the British like Anne Tyler so much, so I left her out. Tom McCarthy’s Satin Island is both very funny and a brilliant book about global systems — a steal at 12-to-1, so I violated my budget and put £20 on it. The Nobel is announced on Thursday, the Man Booker on October 13. Be careful if you bet, because you might get hooked.